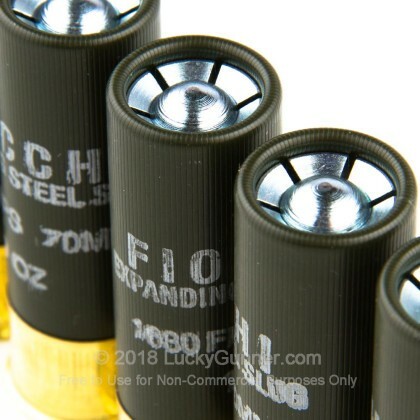 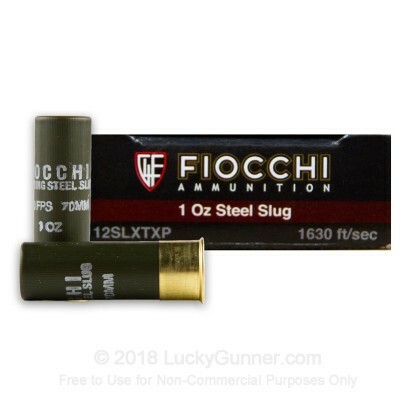 Fiocchi's Steel Slug Hunting Loads feature a 1oz segmented steel slug that yields incredible accuracy and devastating terminal ballistics. 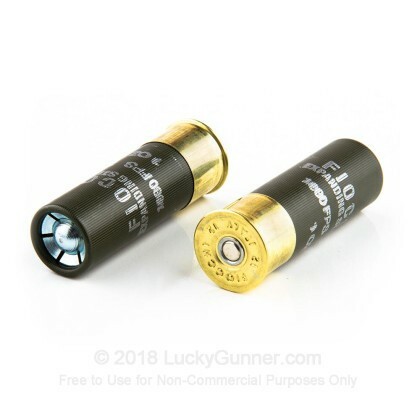 With an impressive 1630 FPS muzzle velocity, these slugs are perfect for hunting boar and deer in areas that prohibit lead loads. 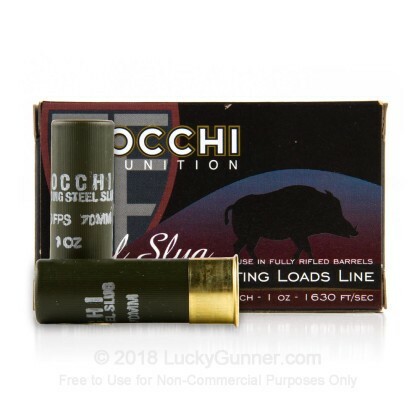 These slugs feature a lead free design, with a specifically segmented, zinc-plated steel design. 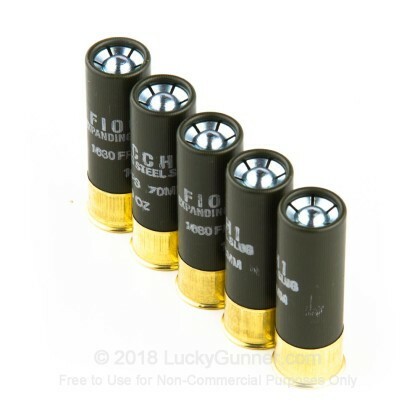 This is wrapped in an encapsulating plastic wad that is designed to protect the barrel of your rifled slug gun, while providing exceptionally tight groups. 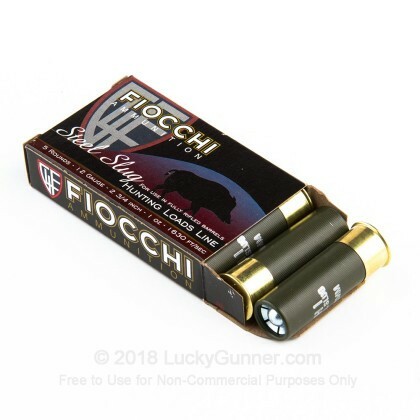 Fiocchi ammunition has gained an increasing following over the last few years but they've actually been producing ammo since 1876 in Italy!